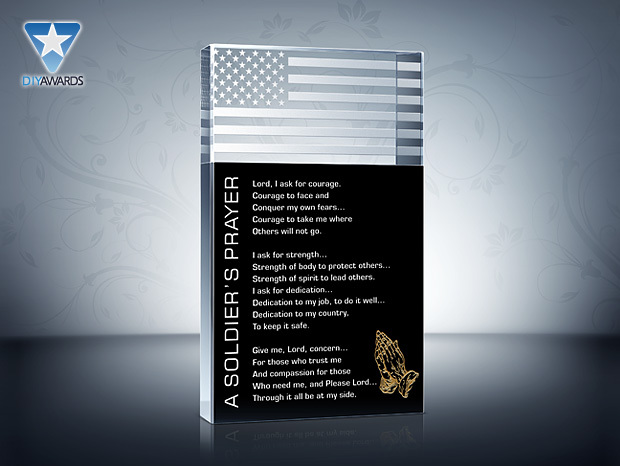 Product Description A Prayer for Our Troops. This unique military plaque is inscribed with a popular military prayer poem. You may customize with other prayers/creeds. It is a unique way to let the soldier know that you are praying for them.